Inés is a graduate from the London School of Economics, where she studied Geography at the undergraduate level, and Urbanisation and Development at postgraduate level. She moved to Rio de Janeiro after her studies where she worked for nearly four years for a grassroots civil society organisation called Casa Fluminense, which advocates for more inclusive security, sanitation and transport policies for Rio de Janeiro’s metropolitan region. Inés was responsible for the organisation’s fundraising strategy and team management. Inés is passionate about youth development, education and human rights and while living in Rio was volunteering as a skateboard teacher for beginners in Coletivo Skate Maré – a favela skateboarding collective, and as a Spanish teacher in a “pré-vestibular comunitário” – a community college preparation course. 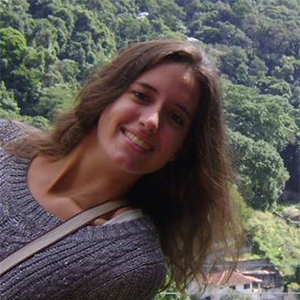 Inés grew up in Belgium to Spanish parents and thanks to this developed an interest for languages and communication. She is fluent in Spanish, English, French, Portuguese and Italian. Inés sees herself working directly with local communities to improve people’s lives. She joined Amani Institute to explore and deepen her skills as a changemaker and learn from Amani’s international community of passionate individuals working for a better world.